Emler’s Kansas City Westwood school is excited to serve the communities of Mission Woods, Fairway, Roeland Park, Midtown-Westport, Mission Hills, Mission, Merriam and Shawnee. You can find our newest location in the northeast corner of the intersection of Mission Rd. and West 47th Ave., in the same block as the original Joe’s Kansas City Bar-B-Que. 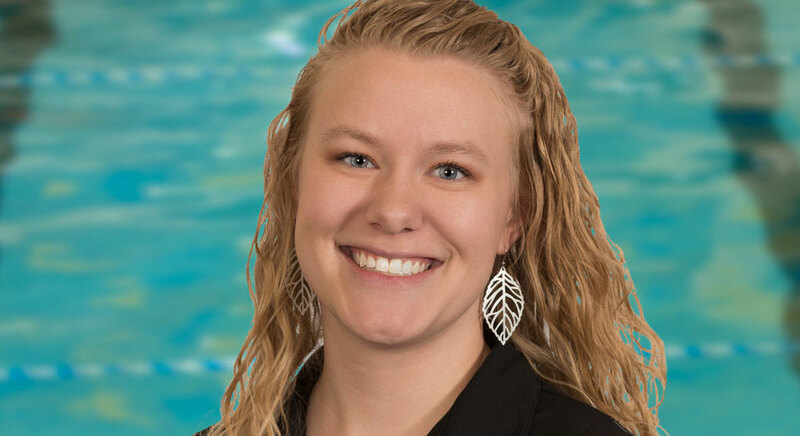 Andrea began her career with Emler Swim School in the Summer of 2015. Before coming to Emler, she attended the University of Nebraska at Kearney and graduated with a degree in Organizational and Relational Communication. Andrea grew up throughout the Midwest living in Wisconsin, Texas, and Nebraska. She has a huge love for the arts and has been involved with music for pretty much her entire life. I look forward to the smiling faces of our staff and swimmers. They are such fun and friendly people – you can’t help but want to be around them! The love that I have for our staff, and the desire to go out of my way for everyone to have an extraordinary day every time they are in our facility. Building relationships is at the heart of it all. I loved taking swimming lessons growing up! We took outside lessons in the summer and had a blast, but I remember not being excited to go when it was cool out! There are lots of great memories! One of my favorite memories from Emler is the fun games that we play with our staff, and giving everyone their spirit animals. Moving always holds both excitement and fear for making a new start. We moved from Texas to Nebraska when I was a child, and I had to make new friends. I remember being nervous to meet kids at my new school. Getting to meet other students and my teacher ahead of time made such a difference. I felt comfortable heading into my first day of first grade to make new friends!